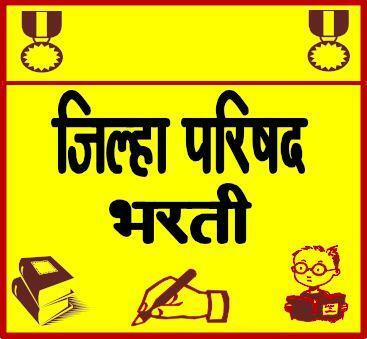 Gram Sevak Bharti 2019 is published by Zilla Parishad in all Maharashtra. Gram Sevak Bharti is organized under Mega Bharti. In Maharashtra Gram Sevak Recruitment total 1034 vacancies are announced to fill the online application form. Gram Sevak Bharti is started in all districts of Maharashtra. As currently, In every department of Maharashtra Government recruitment process is starting. So, this is really a great chance as the ZP Department announced recruitment for Village Servant. We have posted below about Eligibility Criteria, Educational Qualification, Age Limit, Application Fees, Selection Process and Application Details of Gram Sevak Bharti 2019. We all know that Gram Sevak Recruitment notification came for every district separately. Here we will publish district wise Gram Sevak recruitment information, so you will easily find Gram Sevak Exam information for your district. कृपया खाली तुमच्या जिल्ह्यासमोरील लिंकवर क्लिक करा. As per the news, Gram Sevak Bharti is announced as ZP Bharti 2019. Gram Sevak post comes under Zilla Parishad, so whenever ZP Bharti will announce there are 1034 for Gram Sevak Post. So, keep visiting this page for the latest update. More update regarding Gram Sevak Bharti 2019 will update here. Sir 12th me 60% la kami aahet ter chalel ka ? Kiva dusra kahi option aahe ka ?